My preworkout snack was a large navel orange. This provided me with about 20g of carbs before my workout. 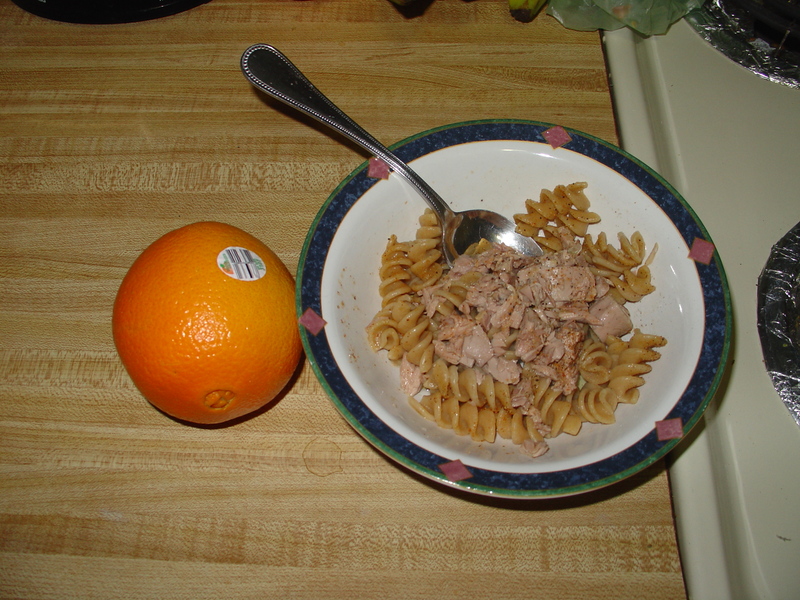 My post workout snack was a quick fix of 1/2 cup dry, whole grain pasta (cooked of course) and the other 2 oz of tuna from before, tossed with a Tbsp of olive oil and some pepper. This entry was posted in Cheap Eats, Nutrition, SNAP Challenge and tagged diet, Exercise Blog, food stamps, health, lifting, money, nutrition, SNAP, wellness by Mike Gorski. Bookmark the permalink.